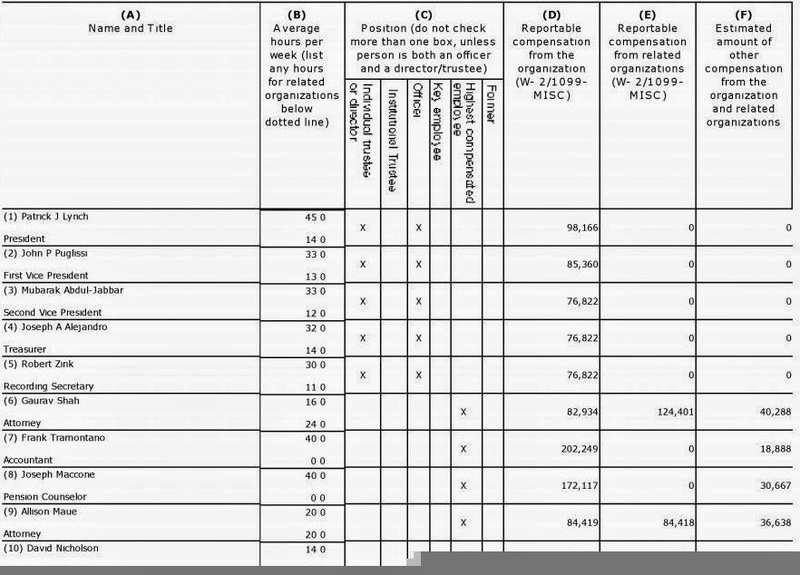 NYC PBA's Pat Lynch's Pay is How High? Shock. That was my reaction after reading the New York City Patrolmen's Benevolent Association's IRS 990 filing for 2013 and learning the president of the group was paid only $98,100. For a charity whose revenue figure was $23,100,000 and had assets of $50,000,000 at the end of its last fiscal year, I would expect the president to earn a robust six-figure salary. 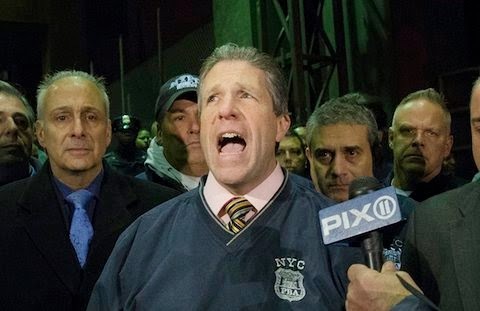 NYC PBA president Patrick J. Lynch, pictured, is demagoguing the recent killings of two NYPD officers in uniform, been spouting lies for years and garnering fast-rising column inches and video footage from bloggers, social critics and the mainstream media. Maybe New Yorkers can fill us in on whether Lynch's only income is his compensation from the NYC PBA. Read the current and full IRS 990 for this group here.